Keloid is a type of scar which, depending on its maturity, is composed mainly of collagen. It is a result of an overgrowth of granulation tissue at the site of a healed skin injury which is then slowly replaced by collagen. Keloids are firm, rubbery lesions or shiny, fibrous nodules, and can vary from pink to flesh-coloured or red to dark brown in colour. Keloids commonly take place on the ear lobes, neck, arms, and on the upper trunk, especially the chest. 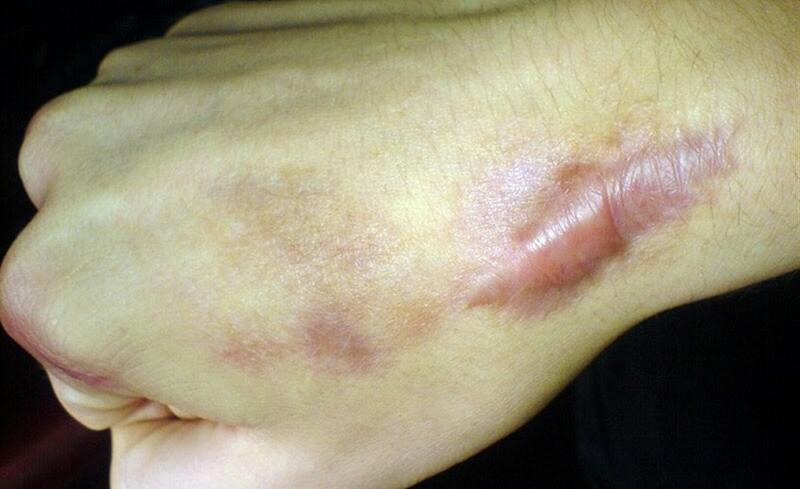 A Keloid scar is benign and not contagious, but sometimes accompanied by severe itching, pain and changes in texture. Treatment: Skinology offers you the best Keloid Treatments in Delhi at Rajouri Garden. So, if you’re searching for a dermatologist to treat Keloids, visit us at our clinic in West Delhi. At Skinology, we always emphasize on getting you the optimum result, while maintaining the world class standard of facilities and patient care. We provide very reasonable & affordable Laser Mole Removal Cost in Delhi.